Warning: I feel like venting. I'm having one of those days... I didn't sleep fabulously last night, my stomach feels a little off, I had to get blood drawn this morning, I'm starving for no good reason, I've been trying to figure out the same darn thing for work for like 2 weeks, it got cold outside, and I just feel like sleeping. 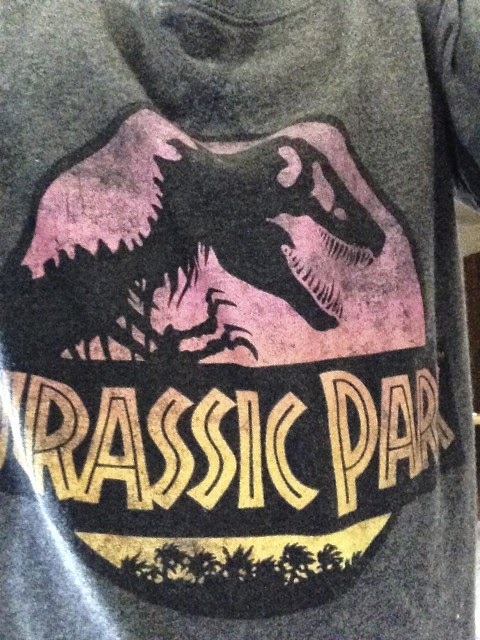 However, I do have this Jurassic Park shirt happening today. So there's that. Anyways, I'm going to go get some endorphins pumping and hopefully that will make me snap out of it. Please tell me I'm not the only one who wakes up just not feeling it now and then? !